House of Ruth: It’s Domestic Violence Awareness Month! It’s Domestic Violence Awareness Month! October is Domestic Violence Awareness Month! House of Ruth is joining the DC Coalition Against Domestic Violence and other local organizations to help raise awareness about domestic violence and working to end violence against women and children. 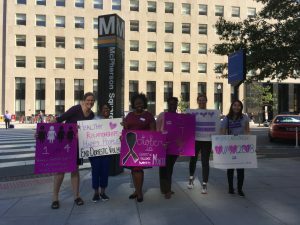 On the first Monday of the month, House of Ruth kicked off Domestic Violence Awareness Month 2018 by participating in Paint The Town Purple, when House of Ruth staff took over McPherson Square metro station to share resources, information and purple buttons to engage the community in preventing domestic violence. On October 12th, House of Ruth also held an open house at the Madison Program, to share information about the housing programs and services offered at House of Ruth. 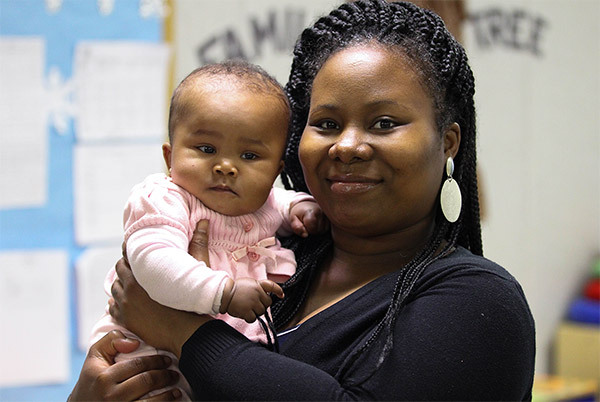 The staff provided information on the admission process to the family and single housing programs, as well as an overview of the Domestic Violence Support Center and our therapeutic childcare center, Kidspace. Be sure to check out the full Calendar of Events for this month and join us in the fight to end domestic violence!